According to ESPN’s Moises Llorens, Antoine Griezmann has offered himself to a number of Europe’s biggest clubs. One of those is reportedly Barcelona who are not contemplating a move for the Atletico Madrid forward, offering other potential suitors a great chance to land one of Europe’s best attacking players. 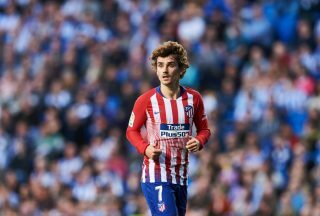 Griezmann has a track record of dramatic transfer U-turns, one including Manchester United, as reported by the Daily Post. He also turned down the chance to join Barcelona last summer, and the Catalan club now seek a long-term replacement for Luis Suarez. That’s the word from ESPN anyway, claiming the La Liga champions favour younger options to the 28-year-old. But will Griezmann become a target for Manchester United again? Alexis Sanchez will surely be leaving the club this summer and it wouldn’t surprise us if United looked to replace the Chilean forward with a big name. The Independent has linked us with a summer move for Borussia Dortmund sensation Jadon Sancho or Barcelona’s Philippe Coutinho, though you just feel the latter is a ridiculous claim. United might want to consider taking a look at the Mirror claim that on June 1st his release clause drops from £170 million to £102 million. It’s still a lot of money but that’s what Atletico Madrid would demand anyway. It adds weight that both parties spoke encouragingly about making a deal happen in the past. We could be in for another dragged out transfer saga.